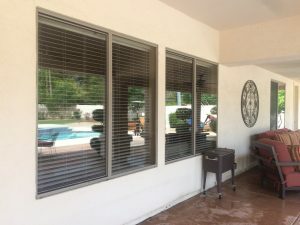 If you are looking for a company that can professionally deal with some window cleaning in Scottsdale, then you need to look no further because you have come to the right place. Arizona Window Washers can not only meet your needs, be we also guarantee that we will exceed all of your expectations. Our company has the best services in the area and we pride ourselves in being the leading window washing company on the Scottsdale market. Arizona Window Washers has years of experience in this field and we are the top pick when it comes to window cleaning in Scottsdale both for commercial and residential customers. As far as commercial window cleaning goes, we have partnered up with countless businesses around town, which we help maintain a professional image for their clients, business partners and even employees. As for residential window washing, there is no secret that our client base gets larger and larger each passing season. This is mostly thanks to our impeccable services and due to the fact that we are able to provide our clients with an amazing customer experience which leaves them feeling treasured and respected. We are not interested in exclusively having professional relations with our customers, but we are interested in cultivating a partnership that is based on mutual respect and even friendship. One of our most important assets is our professional team of experts. You should know that Arizona Window Washers has the best trained, most skilled and most dedicated window washing technicians. 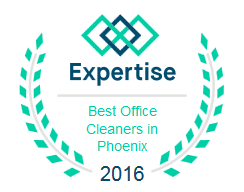 We pride ourselves in having on board some of the most knowledgeable experts in window cleaning in Scottsdale. Although it may not seem like it, window cleaning and window washing is a very difficult job and that is exactly why we have some of the most capable window cleaners and window washers in Scottsdale doing it. Apart from our highly trained experts, we always count on our window cleaning tools and solutions. We have invested part of our resources in finding both the most effective window washing tools and equipment and the best window cleaning products currently available on the market. In the end we have managed to find the best of the best when it comes to window cleaning. And speaking of the best of the best, if you are in need of a trustworthy, experienced and professional window cleaning service, then all you have to do is give us a call. When it comes to window cleaning in Scottsdale, you can rest assured that we are the best! You can get a free quote with our fast window cleaning quote tool that has a very fast response time! Get in touch with us today and we will make sure you have impeccable windows tomorrow!